I don't know if everyone has seen this yet, but I came across the KV128 Stormsurge ballistic suit in the latest issue of White Dwarf. So I thought I might inform Warhammer 40K fans of the Tau Empire's newest and deadliest weapon. The Stormsurge is a Lord of War, and you can include up to 3 of them in a single unit! Awesome! He costs 360 points each, though, so be careful that you don't blow your points on them and forget about your Riptides and stuff. But seriously, having 3 of these guys probably means you don't need Riptides anyway. It's a Gargantuan Creature with toughness 6, 8 wounds, armor save of 3. So he's actually pretty easy to kill, I think. Just deep-strike a bunch of Militarum Tempestus Scions behind him, use the Preferred Enemy order (Autonomous Fire Sanctioned!) and fire 8 volleys of plasma gun shots. He's pretty much dead. But if he survives, the retaliation will be brutal and you'll see your stormtroopers vanish under a torrent of flames or, if the Stormsurge has nothing better to shoot at, a Strength D weapon. Ouch. This guy has many options. He comes stock with a pulse blastcannon...which, to be honest, is pretty lackluster when compared to other Lords of War like the Wraithknight which has much longer range and can take 2 D weapons. Up to 10 inches, the pulse blastcannon fires 2 Strength D AP1 shots. Awesome. Except that no one will get within 10 inches of this guy, and their anti-Gargantuan Creature weapons probably outranges him. Except my deep-striking stormtroopers, who will get wiped out by those Strength D shots if they somehow fail to kill him. Deep-striking units can't charge, after all. Sigh. But yeah, it deters melee, charges and assaults from deep-striking units and drop pods. Especially drop pods! If you fail to kill the guy, your Space Marines are all dead! DEAD! Muahaha! Die, you stupid drop pod Space Marines! DIE! 10 to 20 inches, it fires off 2 heavy blasts of S10 AP1. Pretty good if you ask me, but as I said, 20 inches is pretty lackluster when you look at how short the range on this thing is. Last of all, 20 to 30 inches, which is its maximum range, it fires 2 heavy large blasts of S9 AP3. This is pretty good, particularly against blobs that are charging at him. Hmm...there's still quite a lot of promise. I guess. But he's unlikely to hit anything unless you move him across the table slowly. Well, one good thing is that he will soak up a lot of firepower, that's for sure. Still, without an invulnerable save, and being only T6 (why is the toughness so low?! ), a lot of weapons can still hurt him, with even lasguns hurting on sixes. If the Imperial Guard troops can close enough, that is......they'll be completely wiped out by his main weapon and his other missiles, now that I think about it. Yeah, moving onto the 2nd weapon. Now this is where the Stormsurge shines. He has an awesome Cluster Rocket System which is S5 AP5...but...! BUT!!!! But it fires 4D6 hits. Even if you're incredibly unlucky, you can still get at least 4 hits, but if you're super-lucky, you can potentially get up to 24 hits. Most of the time, you'll probably get around 14 hits, which is still pretty awesome, and they're all S5 AP5. Very damaging, especially to blobs. This, combined with his special rule, can actually turn out to be extremely overpowered, especially against blobs - I'll elaborate more on the special rule later. It's also a long-range weapon, with a range of 48 inches. Not bad! Pretty awesome, if you ask me. The Stormsurge also has a twin-linked flamer, which if you pair with the pulse blastcannon, will make this guy superb at close-range combat. Huh. They have to be that crazy to want to get close to him, or fail their deep-strike surgical assault. They can't lock him up in combat because they can't charge him after deep striking. So he gets to roast them with the flamer next turn, and if need be, DESTROY them with his Strength D weapon. The flamer can be traded for a twin-linked burst cannon or a twin-linked airbursting fragmentation projector for 5 points, both of which have greater range than the flamer but...still not that far. Well, they are still pretty useful. The latter ignores cover and is a large blast! Whee! And the former gives 4 shots. Wow. The last weapon is 4 one-use destroyer missiles, 60 inches (finally! Now that's long-range! ), S8 AP1. Good for anti-vehicle if you need something to bust that transport open, and then pour your cluster rocket system from above onto the staggering and disembarking occupants, hammering them to death. Sweet! The best option, however, isn't the secondary weapons. It's the primary weapon. The Stormsurge has an option to swap the pulse blastcannon for a pulse driver cannon for 15 points, and I say it's worth it. It makes him the price of a Knight Paladin or Knight Warden without upgrades, but I say again, it's worth it. Why? The pulse driver cannon has 72 inches range (now that's what I call long-range! ), and it's an ordnance large blast with S10 AP2. Awesome! It has a long-range demolisher cannon now! I want that on my Leman Russ Demolishers! ARGH! I want it, I want it, I want it! NOOOOO! Combine this with markerlight shennigans and you'll basically Instant Death any non-vehicle, non-Monstrous Creature unit into oblivion. Especially if they have no invulnerable saves. Hordes will die, vanishing in utter destruction. Elite units will also be completely annihilated. Even vehicles aren't safe, their AV14 front armor praying that the Greater Good doesn't roll a 4 and glance them. If that isn't scary enough, take a look at the Stormsurge's special rule. If you choose to activate the Stabilizing Anchors rule during your shooting phase, during your next turn and subsequent turns after that for the rest of the game, the Stormsurge can fire twice. The "drawback", of course, is that the Stormsurge can no longer move under any circumstances or make stomp attacks. But if you've equipped him with the 72" range pulse driver cannon, he doesn't need to move! And with WS2, Initiative 2 and 2 attacks in close combat, what the hell are you doing, charging him into combat?! The stomps aren't worth it, man! And with S6, the only units you're going to instant-death are poor infantry units from the Imperial Guard, Orks and Tyranids. Don't charge the guy into a squad of Space Marines just for the Stomp and Smash rules, it ain't worth it. Anyway, you use this rule and you can fire all your weapons twice. TWICE! That means your cluster rocket system with 4D6 shots has just turned into 8D6 shots. Combined with markerlights from the inevitable Pathfinders (you're not going to field the guy on his own now, are you? ), you can negate cover saves and laugh hysterically as a charging 30-men blob gets reduced to 2 or 3 in one volley. OUCH. Best used against Orks, Tyranids, Imperial Guard (NOOOO! This is why I play Mech!) and other horde armies. Even Space Marines and Terminators will shudder at making potentially 28 saves. Even better, a 2nd large blast template with S10 AP2 is coming your opponent's way after the first one devastated his poor gunline. Laugh manically as you taunt your opponent for ever thinking he can match you in a gunline fight. Better still, take 3 of these things and deploy the Stabilizing Anchors. Now look at your opponent and grin as you roll your dice and determine how many shots will 24D6 give you. 84, statistically. Use your markerlights to ignore cover. With the Stormsurge's poor BS (BS 3), only half of those shots will hit. 42. Now watch as your opponent's combined platoon of 4 infantry squads just vanish under the rain of rockets and grin. If anyone has a solution for dealing with annoying horde armies that just throw bodies at you (50-men combined squads of an infantry platoon or 50 Conscripts with a Commissar), it's the Tau Empire. Hell yeah. And these guys make good anti-vehicles in a pinch. 3 S10 AP2 shots? 6 with Stabilizing Anchors? Yeah, that Leman Russ tank is going to cry (NOOO! My Leman Russ tanks!). Anyway, this is all the info I have for you regarding the Stormsurge. 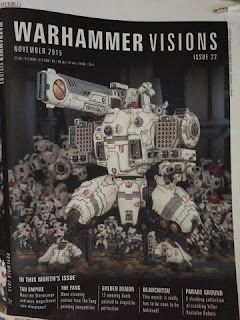 There's some lore and I forgot most of it, but basically the Tau Empire needed some new weapon because even with the advanced Riptides, they weren't able to stand up to the Imperium of Men as it was an age where Imperial Knights and Warlord Titans stalked the surfaces of countless worlds. To counter them, they turned to this brilliant Earth Caste scientist who came up with the Stormsurge as an answer. Like the Hammerhead gunship, the Stormsurge is piloted by a crew of 2 Fire Caste dudes (or Earth Caste if it's Farsight Enclaves). It's different from a battle suit, it's a ballistic suit, not a battle suit, which means the pilots of the Stormsurge don't get the respect they deserve. Still, the Fire Warriors rever them as they march under the feet of these behemoths, the Stormsurge providing apocalyptic firepower to match even the fiercest of the Imperium's titans. I still think they will die to Warlord Titans...no, even a Reaver or Warhound Titan will obliterate them, though. Imperial Knights...well, that's another story. Keep your Knight away from that guy if he has the pulse blastcannon! If he doesn't, then feel free to march up to him and engage him in melee, but for the love of the Emperor don't do it if he has a 10" Strength D weapon waiting for you! Antoher thing in the lore is that the Stormsurge is the first of a new and latest advanced line called the ballistic suits, which sacrifice the mobility, jet-packs and flexiblility of the Crisis battle suits and other battle suits (except the Broadsides, I guess) for sheer firepower. Heck, even the damned Riptides have jet-packs but this poor guy doesn't. What should we do?! Nothing. I'm going to see what my Imperial Guard army can do against these guys. Sigh. Well, I have the Adeptus Mechanicus War Convocation. Maybe they'll be able to fight against the new Tau Empire somehow, but I have no doubt they have improved units, better rules and awesome formations to make them competitive against the new Eldar, Necrons and Space Marines. All right, signing off here. For the Emperor! They have the same, if not greater weakens that wraithlords have, the armour 3, whilst nice when deep striking grav cannons hunt you does leave you open to the old death of a million missile lauchers. I suspect if you go above 2 in 2k you will have there weakenss pointed out to you very fast. As for its long range cannon, S10 AP 2 is less than a knight would have to bear running over the battle feild to beat you to death with its pointy chainsword of D, compaired to 3 hammerheads at S10 AP1. If you can get feel-no-pain on it (or as I call it opponent-feels-pain) and cover then its a diffrent story. Also at Leadership 9, its Psi bate and can more or less be insta killed with a sweet combo of powers and a few missiles. Which is all good :) last thing I want is a unit to OPP that nobody will let me use it. Use it well = win, use it poorly = dead..... whats that your opponent has gone all valkerys with lascannons at range... sux to be you tau fish! Yeah, I think you're right. I'm just giving my initial impressions of the Stormsurge, and being a new player I'm probably off the mark with my analysis and getting too impressed with its firepower. But I agree, it's pretty much a glass cannon despite that overwhelming fierpower. I think that weakness can be somewhat mitigated by giving him a shield generator (I see that the Stormsurge can take stuff from the Support Systems! ), thus giving him a 4+ invulnerable save. That would make him neigh unwoundable with 50% chances of making his saves but that toughness 6 really hurts him. Sigh. By the way, Gargantuan Creatures automatically gets Feel No Pain as part of their special rules, and the shield generator is basically the cover you need without requiring a building to block the huge guy. 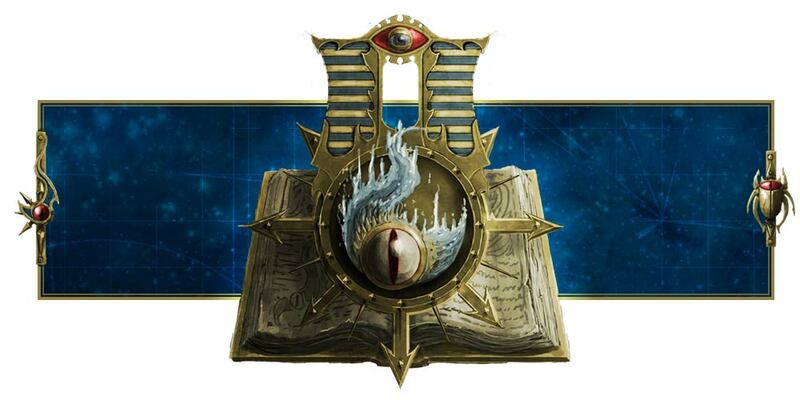 But yeah, its leadership 9 will make it die to psykers. I can't wait to send my Vendetta gunships at anyone who uses this thing!